Hunyadi Square is actually known for its market. 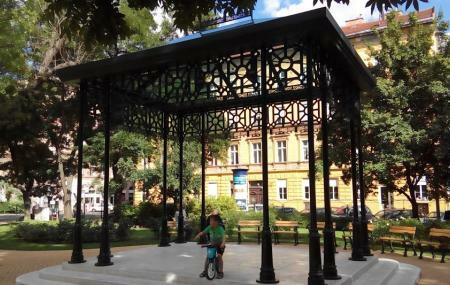 It also is in the vicinity of andrassy Avenue and Vorosmarty Square and hence holds a very prime position in the city. The most prominent feature of this place is the small market hall that keeps hosting various different markets at all times. You will not only find fresh stuff sold right by the farmers but also this is a great place to interact with the locals. This is one of the main market hubs of Budapest which has a lot of stuff that you can pick up and take back a little of Budapest with you. How popular is Hunyadi Ter? People normally club together Obuda and Statue Of Grof Karolyi Sandor while planning their visit to Hunyadi Ter. People also prefer to start their day with Hunyadi Ter.